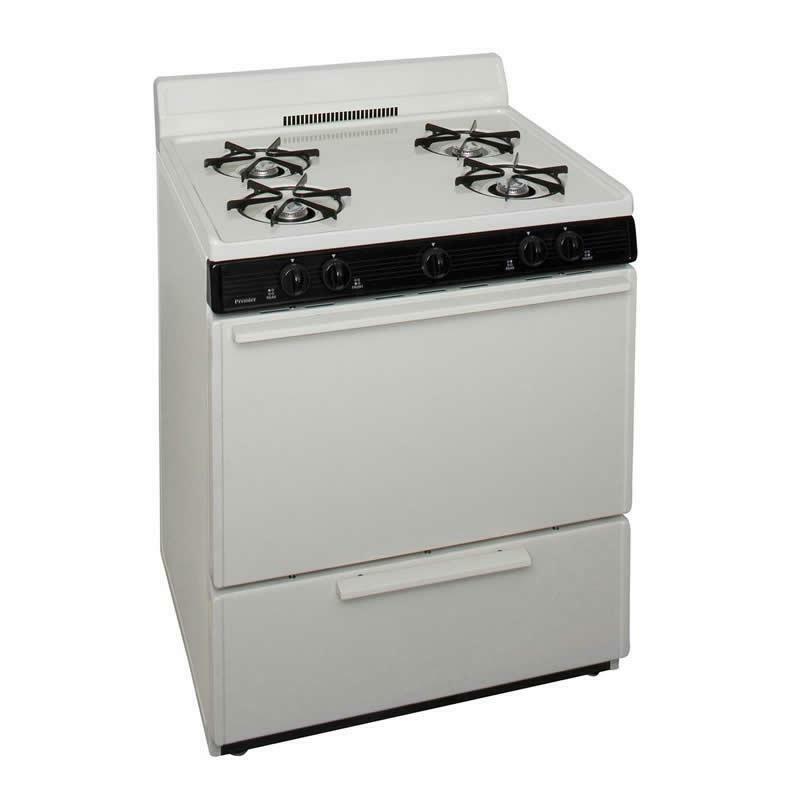 Premier 30 inches cordless gas range with 4 inches porcelain backguard. This 30" wide Gas range comes with a full 25" wide oven, giving you more room for all your baking needs. Additional Information Operates without a power source - no AC power required; Easily converts to LP gas - no kit required; Anti-tip bracket attaches to floor. Additional Dimensions Interior width 25 inches; Interior depth 18 inches; Interior height 15 inches. Warranty 1 Year. Lifetime for burner.